All work is done on-premises in our state of the art jewelry workshop, by experienced and expert jewelers using the latest technology. Send us your jewelry, either thru the Post Office by registered mail, or UPS with insurance. After receiving the jewelry, we’ll call, text or email with a cost estimate as well as explaining the various choices available to you. After completing repairs, we’ll take a photo of the finished piece and text it to you prior to shipping. Most of the repairs are completed in 3 to 5 days. We ship 2nd day UPS, insured and with an adult signature required. Prices are for 14K gold or Sterling Silver; all designs available in 18K, 22K and platinum. Please contact us for prices. Most pieces also available in sterling silver. Jewelry can be accented with small diamonds or color stones. If you’re ordering a pendant, please indicate length of chain, 16” to 24”. Don’t forget to send ring size when ordering rings. 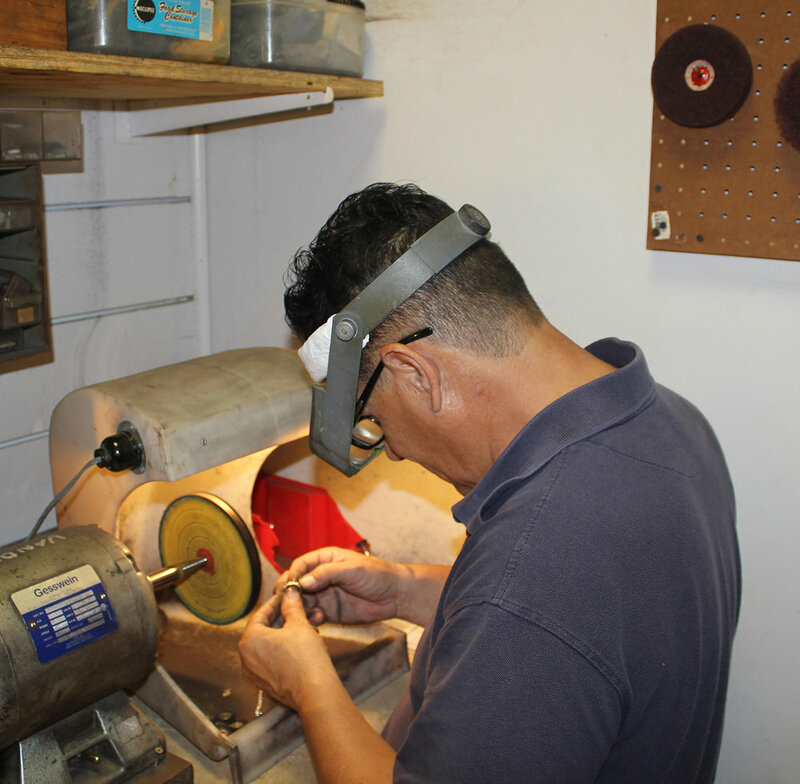 All of our copyright designs are handmade in our shops in Wellington, West Palm Beach, Florida. If you are near Wellington, please come in and visit our showroom and work shop, we always have new pieces in the works and our entire line is on display and available.